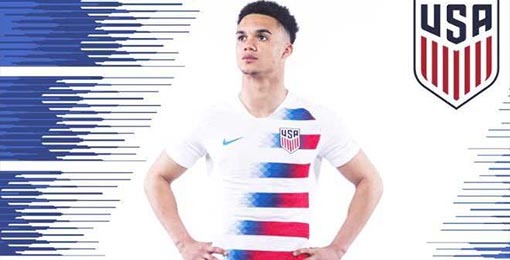 If you want to buy cheap united states shirt for 2018-19 season, buy it here in cheap-football.com , Check our exclusive range of united states Football Shirts / Soccer Jerseys and Kits for adults and children at amazing prices. 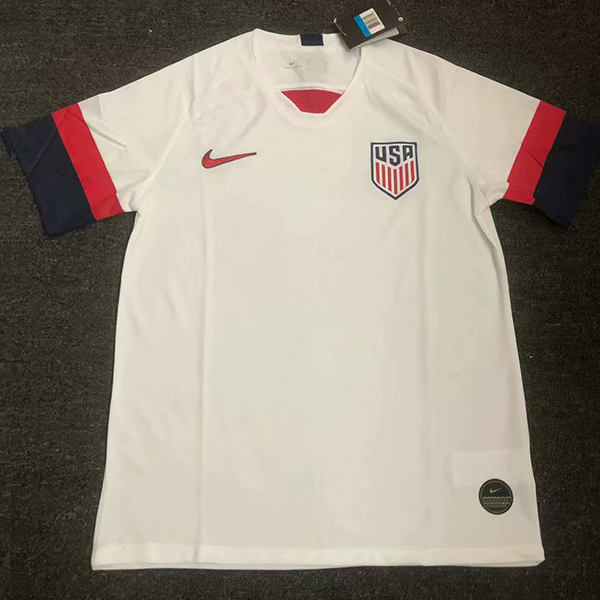 Get the cheap united states jersey shirts, soccer kits with wholesale price, Free Shipping Worldwide! The United States men's national soccer team is controlled by the United States Soccer Federation and competes in the Confederation of North, Central American and Caribbean Association Football. The team has appeared in ten FIFA World Cups, including the first in 1930, where they reached the semi-finals. The U.S. participated in the 1934 and 1950 World Cups, winning 1–0 against England in the latter. After 1950, the U.S. did not qualify for the World Cup until 1990. The U.S. hosted the 1994 World Cup, where they lost to Brazil in the round of sixteen. They qualified for five more consecutive World Cups after 1990 (for a total of seven straight appearances, a feat shared with only seven other nations),becoming one of the tournament's regular competitors and often advancing to the knockout stage. The U.S. reached the quarter-finals of the 2002 World Cup, where they lost to Germany. In the 2009 Confederations Cup, they eliminated top-ranked Spain in the semi-finals before losing to Brazil in the final, their only appearance in a final. The team failed to qualify for the 2018 World Cup, having been eliminated in continental qualifying, ending the streak of consecutive World Cups at seven.The U.S. also competes in continental tournaments, including the CONCACAF Gold Cup and Copa América. The U.S. has hosted fourteen editions of the Gold Cup, winning six, and has achieved a fourth-place finish in two Copa Americas.